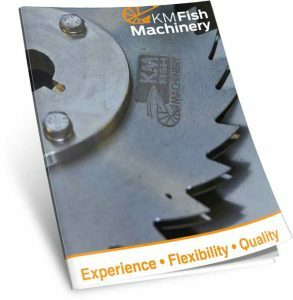 KM Fish Machinery delivers machines and equipment as well as turn-key factories for the fish processing facilities world wide.Both landbased and on-board - please contact our sales department regarding these services and solutions. KM Fish Machinery manufactures machines and complete shrimp processing systems for installation on board trawlers and in land based factories. Hans Jensen Engineering is our sister company that manufactures freezing solutions and custom made equipment for the food industry. Visit the website for more information. KM Fish Machinery is one of the leading suppliers of complete shrimp and fish handling systems for installation on board fishing trawlers and in land based factories. Our processing lines are installed from Greenland in the north to Australia in the south. KM Fish machinery is located in the northern part of Denmark, where research & development, design and production take place.